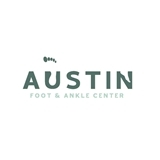 Austin Foot & Ankle Center (Austin) - Book Appointment Online! At Austin Foot & Ankle Center, we remain on the frontier of technology to bring you the most excellent new inventions for toenail fungus and unsightly toenails. We have added the latest state-of-the-art laser the Cutera Genesis Plus provides you the best treatment results with no pain. Austin Foot & Ankle Center is the sole place in Austin that supplies this astonishing toenail fungus laser treatment for you. Dr Raemsch is an excellent Podiatrist. He was friendly and thorough and took his time with me. I did not feel rushed at all. Highly recommend him. Really professional and non judgmental. Prompt and has two locations that are very convenient. Friendly staff as well.